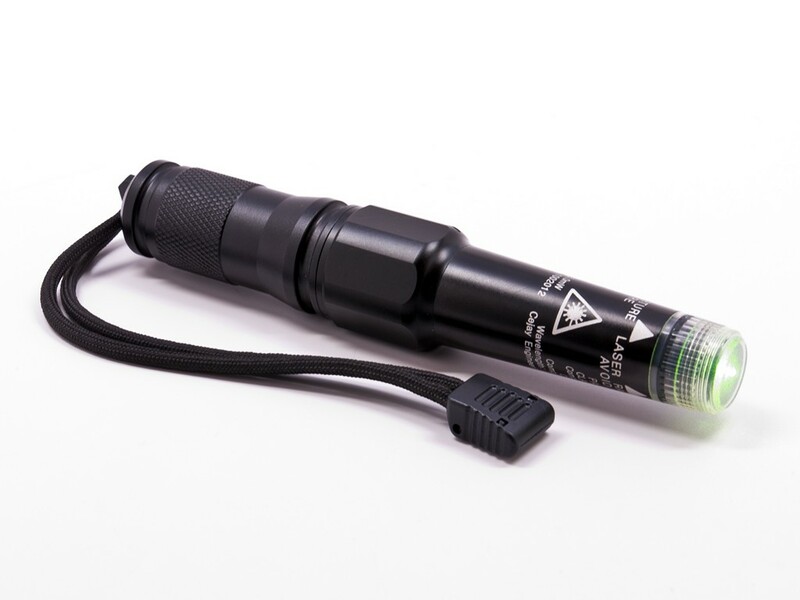 The Paris™ III – Green (NSN: 6230-01-618-0388) is a long-range compact green laser flare used for directional signaling at ranges up to 20 miles. 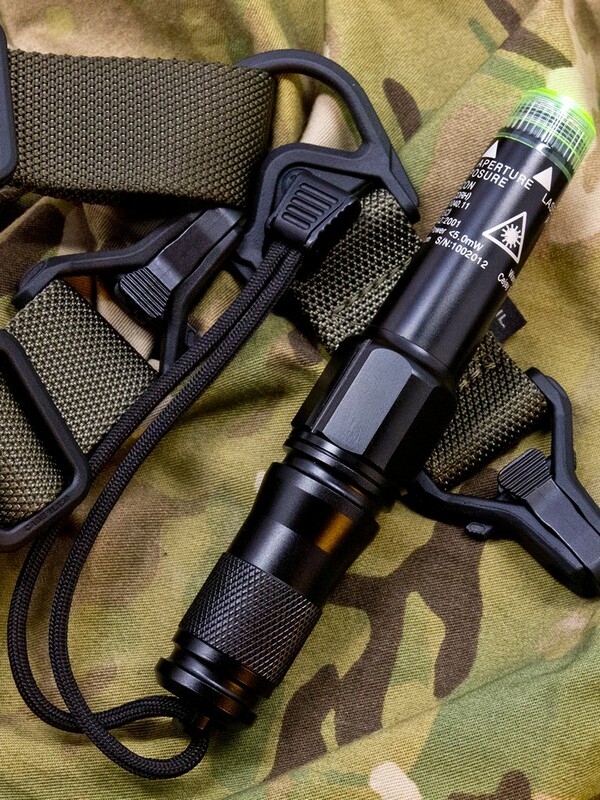 The Paris™ III – Green (NSN: 6230-01-618-0388) is a long-range compact green laser flare used for directional signaling at ranges up to 20 miles. Unlike traditional lasers, the Paris III fan laser utilizes laser light line technology to reshape the laser from a light spot to a light line. At a range of five miles, the Paris III fan laser will project a line of light approximately 1,400 feet in length. 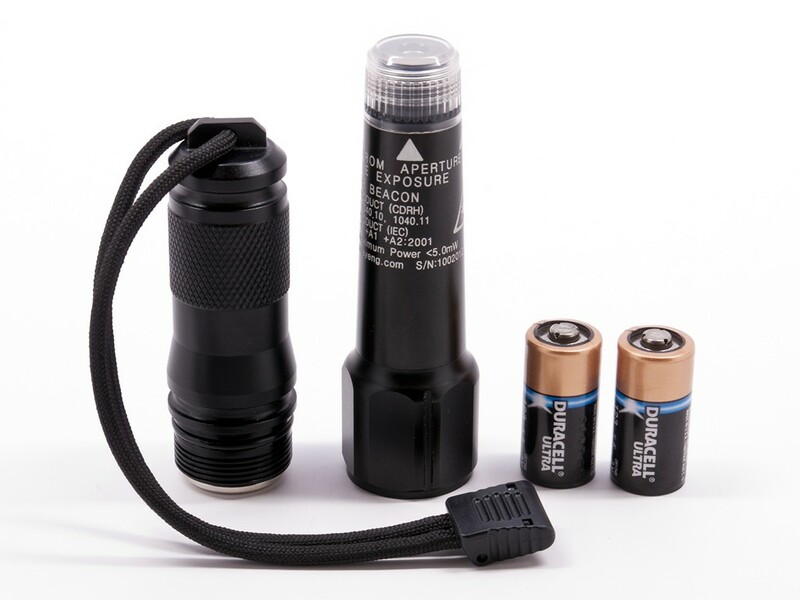 This makes the Paris III significantly more effective as a SAR signaling device than traditional beam lasers. 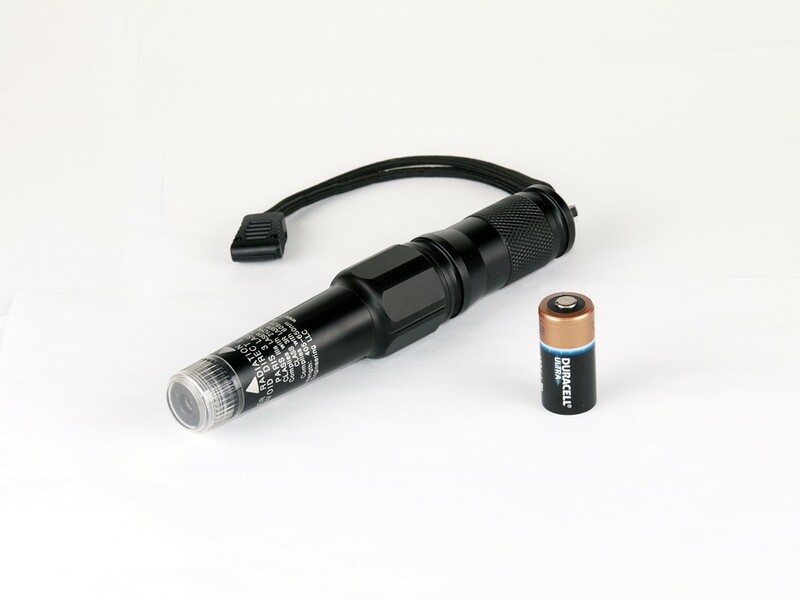 At close ranges the Paris III laser can also be superbly effective as a signaling /warning device. On the battlefield, beam lasers have been deployed at check points to warn off approaching vehicles. At 1000 feet focusing a spot laser on a moving automobile windshield can be challenging. Conversely the Paris III fan laser will project a fifty+ foot line at this range dramatically increasing the probability that the signal will be recognized. The Paris family of beacons has been engineered to be the most durable available. Constructed from a solid billet of aircraft aluminum, the Paris’ cylinder walls are more than 2.5mm thick making the beacon virtually crush proof. This tremendous strength coupled with a water tight design, and corrosion resistant coatings make the Paris laser superbly suited for all operations. The Paris III™ is turned ON and OFF by rotating the anti-roll bezel. Powered by two CR123A lithium batteries the Paris III will provide 12 hours of operation at a constant brightness. 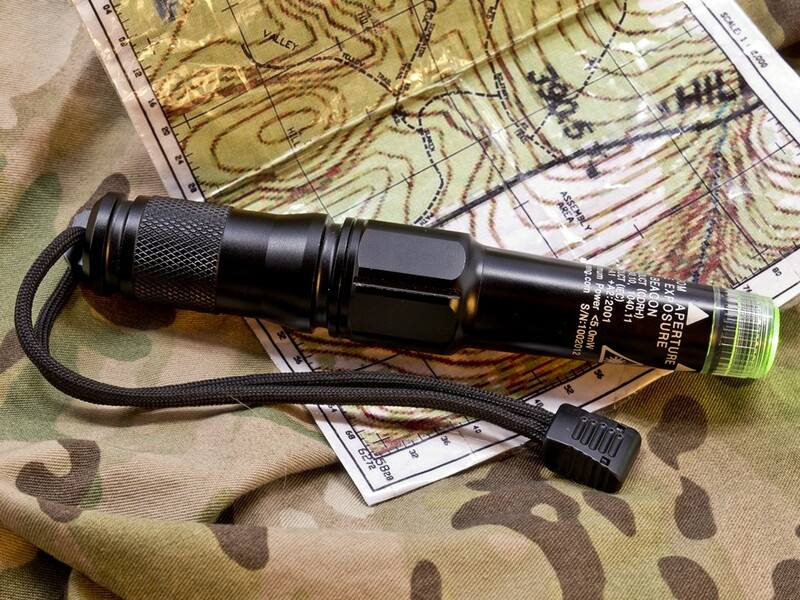 The Paris III includes a 550 cord retention lanyard and can be weapon mounted using conventional light / laser mounts.